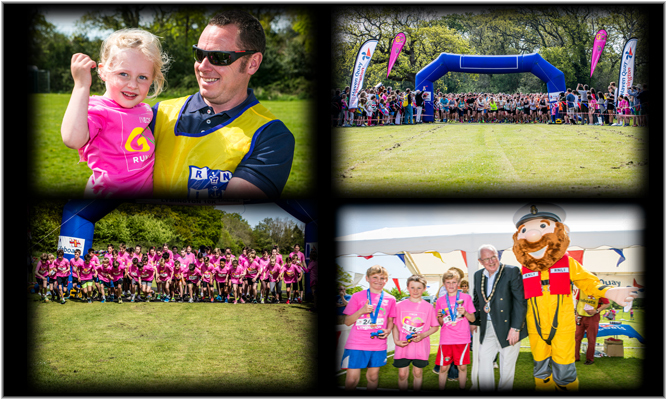 Now in its 18th year the 10K race takes place in the beautiful coastal location of Lymington on Sunday, May 12th, 2019. GO Run for Fun is an international children’s fitness campaign, designed to inspire children to be more active through fun short-distance running events. It has been a phenomenal success with over 280,000 children taking part since it was launched in 2013. The GO Run for Fun programme has a very simple aim – to get as many kids between the age of 5 and 10 running as possible, through well organised events. Since GO Run for Fun kicked off in Summer 2013, we have seen young runners take part in events spanning the UK, France, Germany, Belgium, Switzerland, Italy, Norway, USA, Mexico and Singapore – and the number of events is still growing! In addition, GO Run For Fun has created a 6 week in-school health & wellbeing programme which teaches about the importance of healthy lifestyles, nutrition, exercise and teamwork. The resources are freely available to schools, which include videos, presentations, activity cards and a poster for children to learn from. As part of this programme schools are also able to take advantage of a GRFF school twinning programme, connecting with another school from around the world. 12. Download a sponsorship form or go to www.virginmoneygiving.com or www.justgiving.com Prize for highest individual sponsorship and prize draw for those raising more than £25 sponsorship.